Most of the Scandinavians are quite near the polar circle and also very near the aurora borealis. At times the propagation can be very challenging, particularly when the great-circle signal path used in a QSO passes through the auroral region. 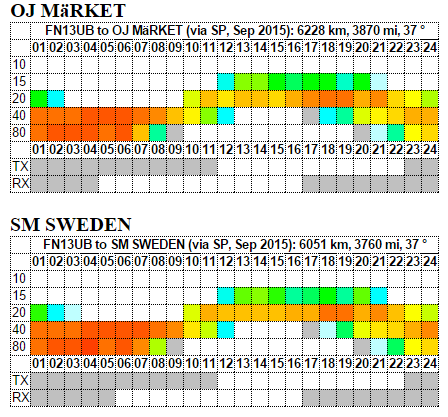 If you are in Scandinavia you may want to do detailed world-wide propagation analysis with the VOACAP Propagation Planner! An excellent tool, very easy to use. Go to http://www.voacap.com/planner.html !